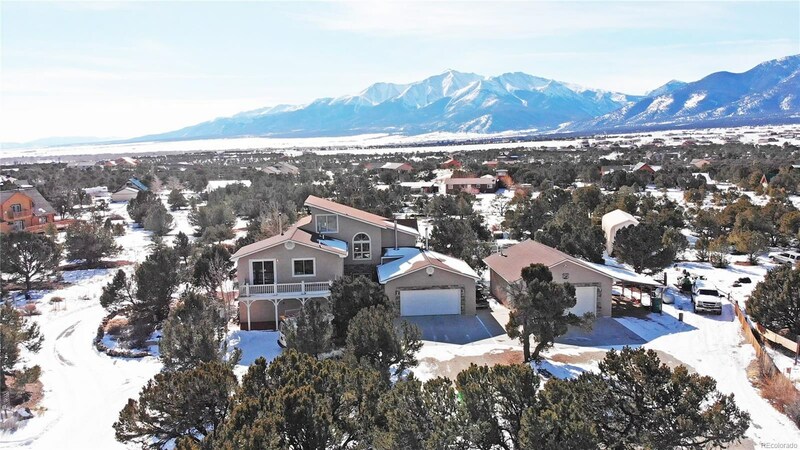 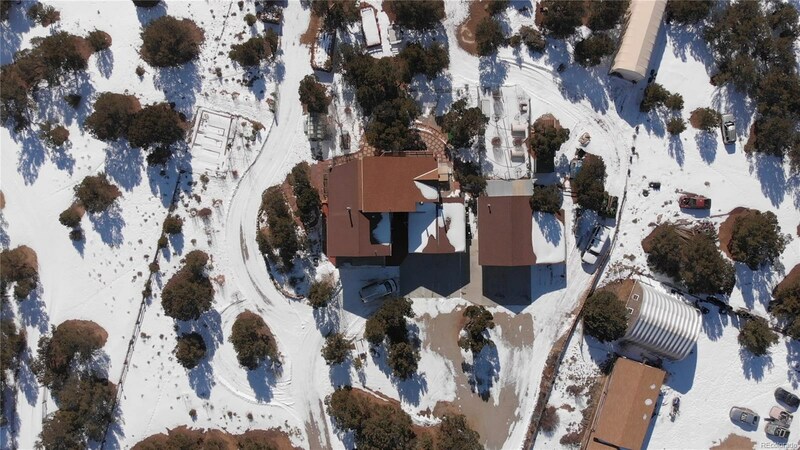 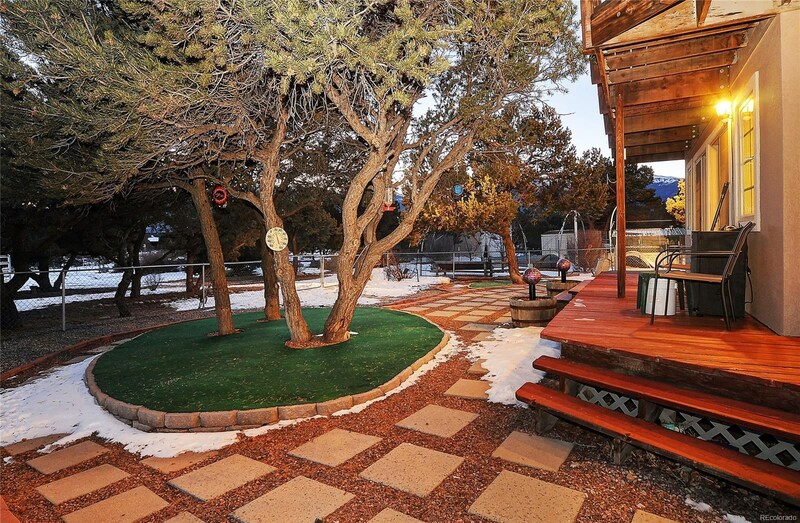 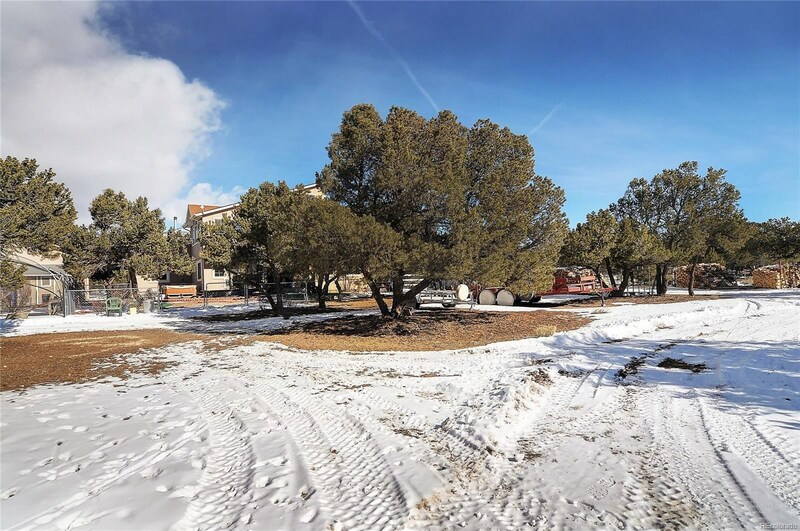 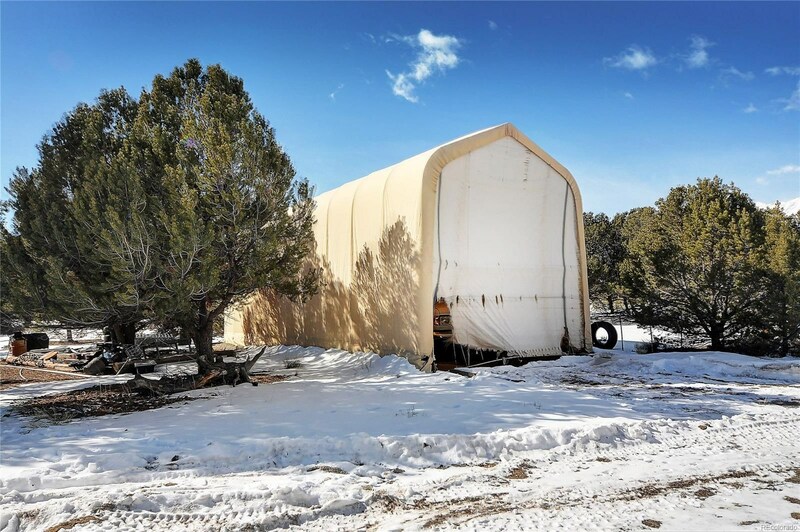 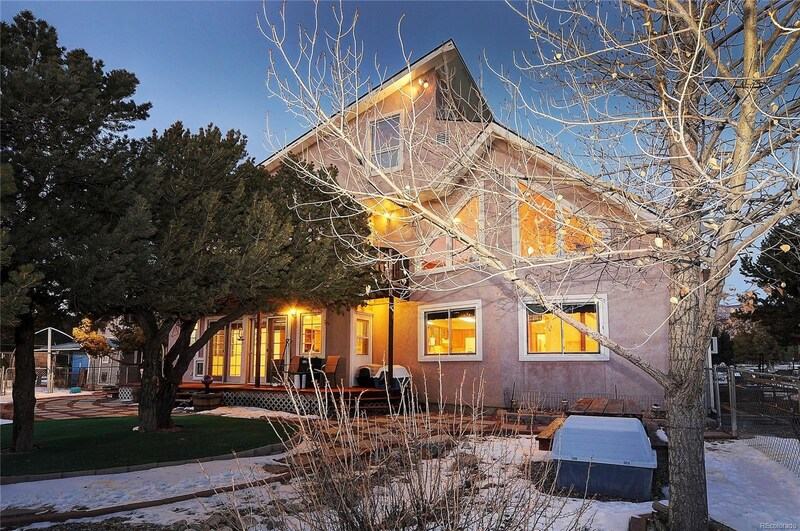 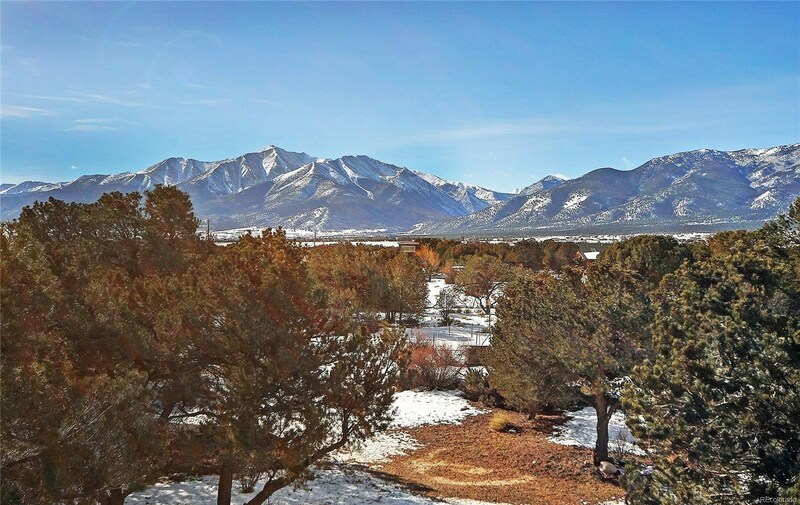 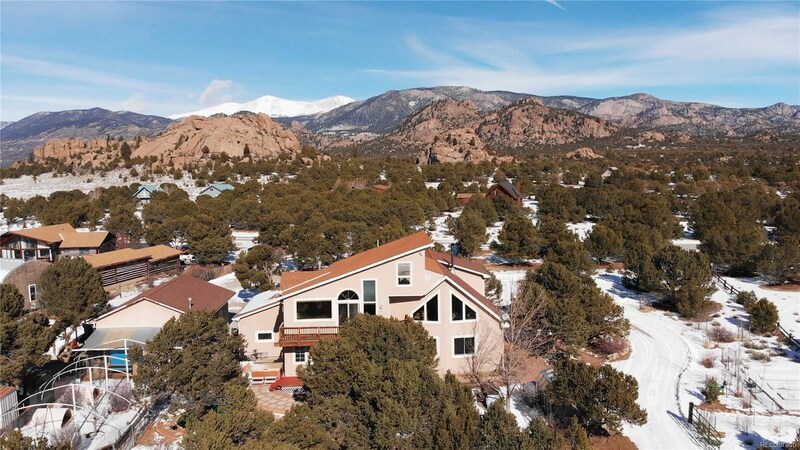 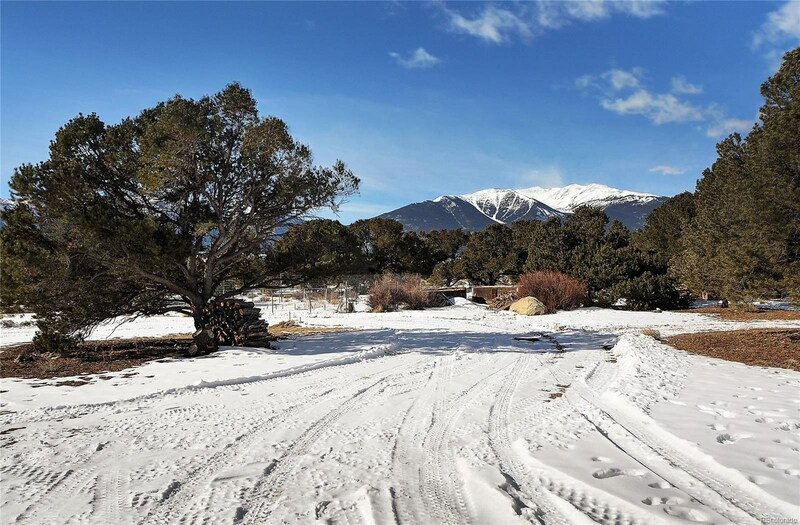 Located less than 2 miles to downtown Buena Vista, yet walking distance to the Arkansas River and BLM land, this stylish home has pristine mountain views, 2 large garages, portable RV storage, fenced yard and the perfect sized home. 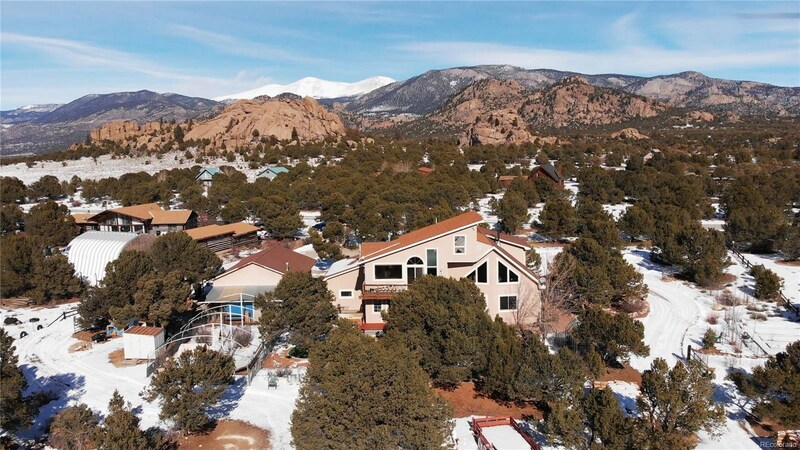 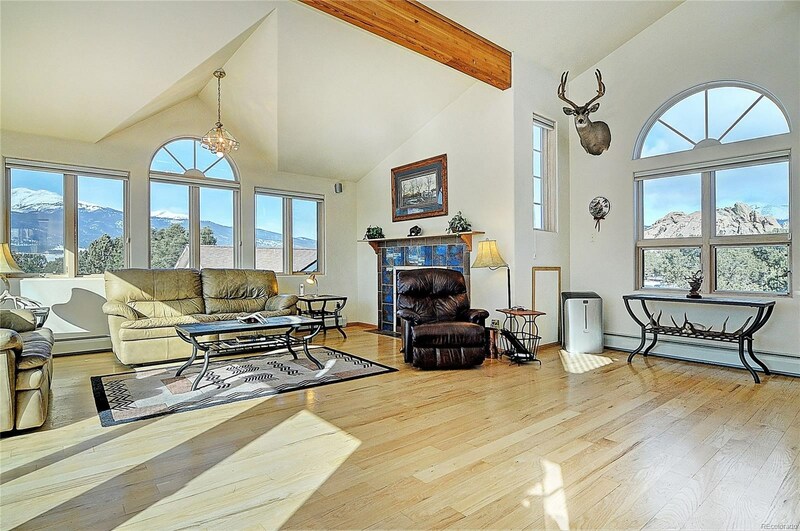 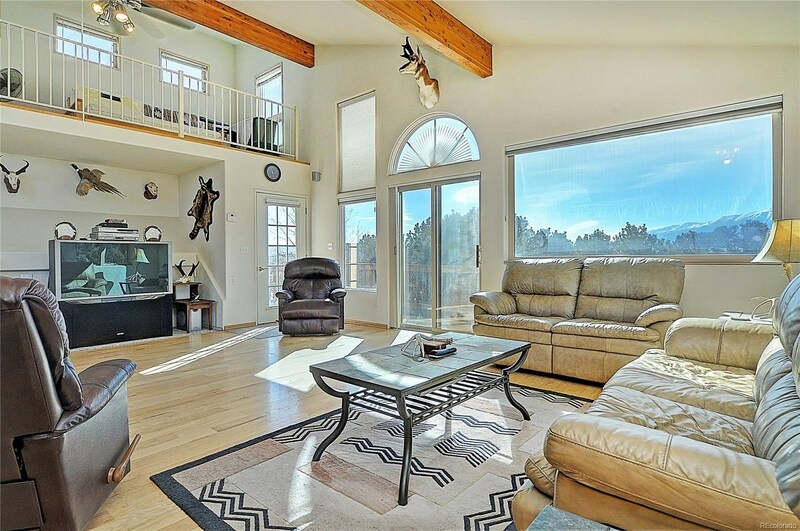 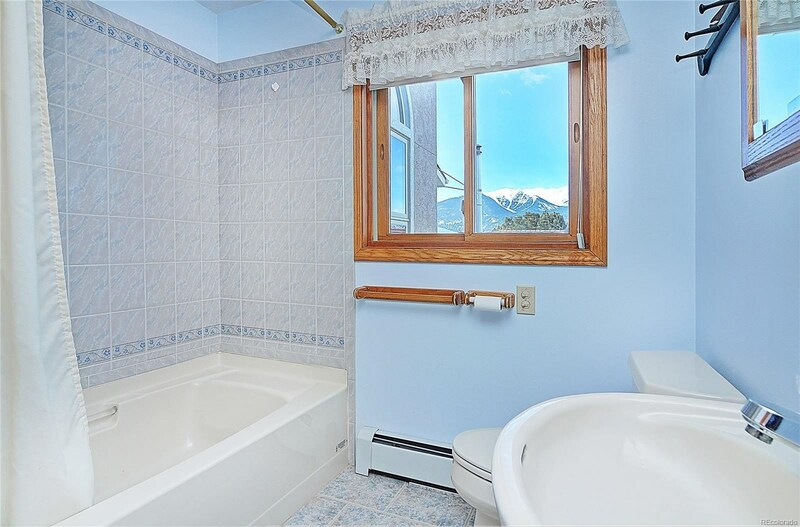 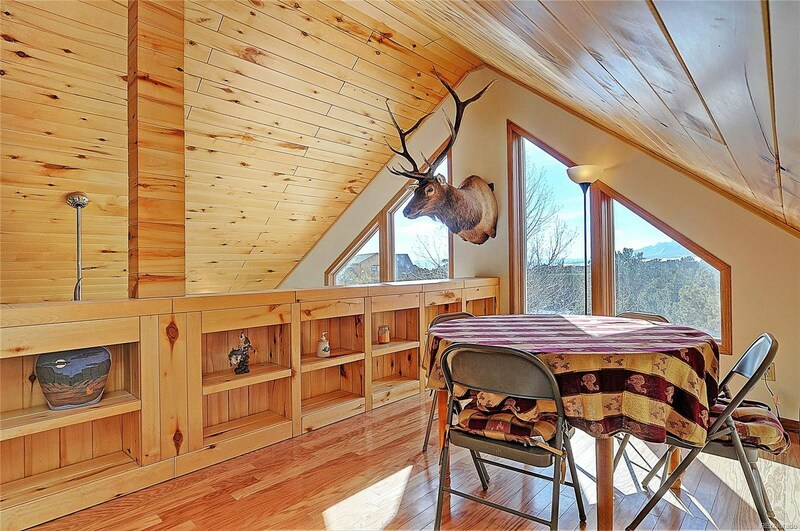 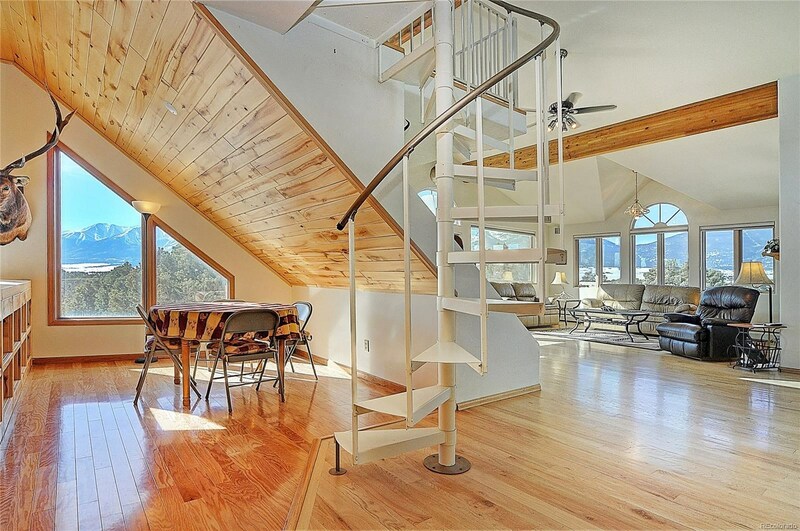 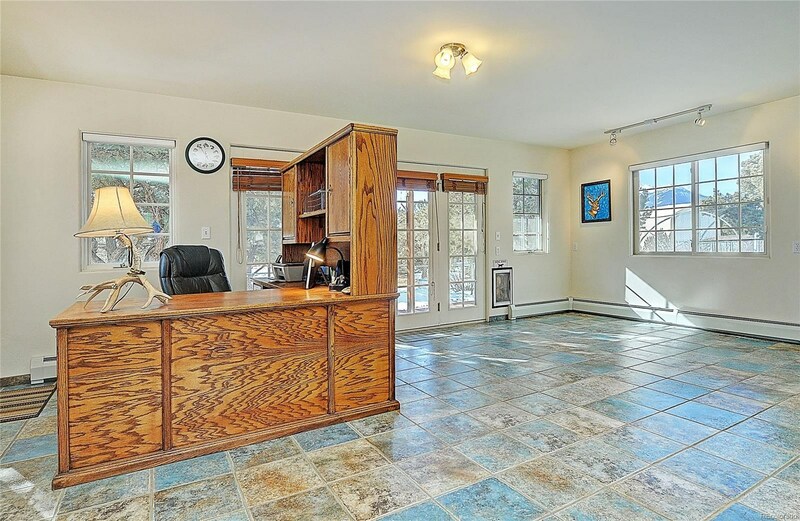 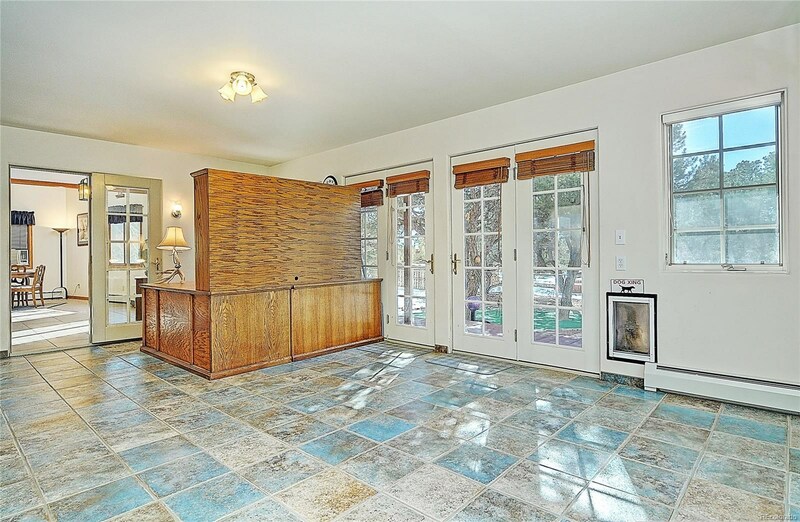 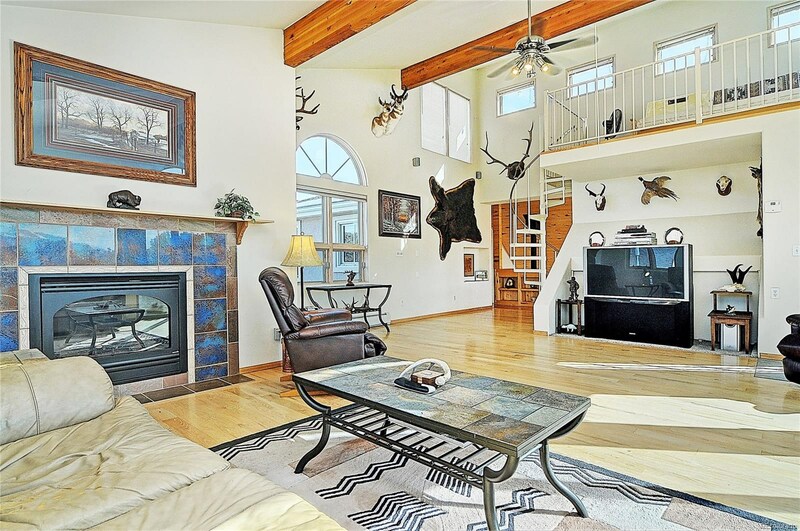 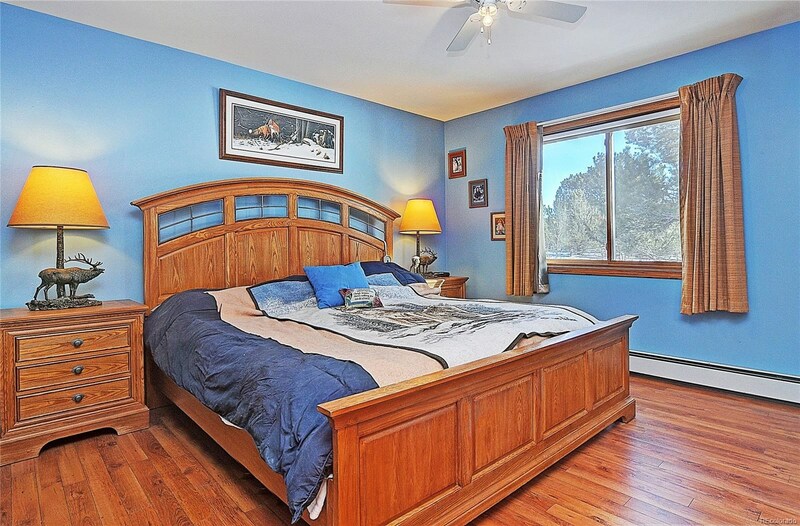 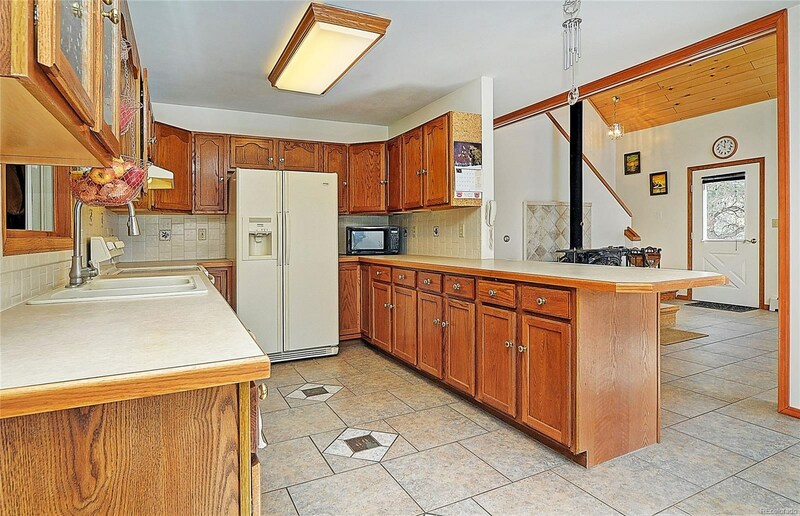 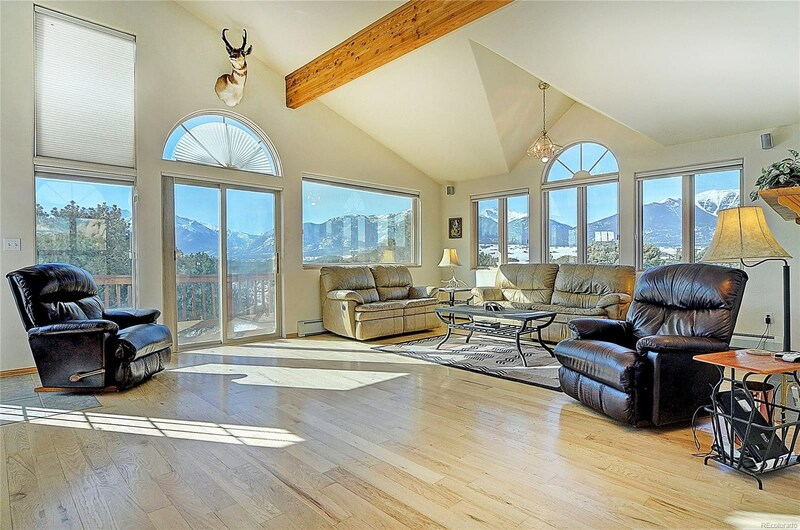 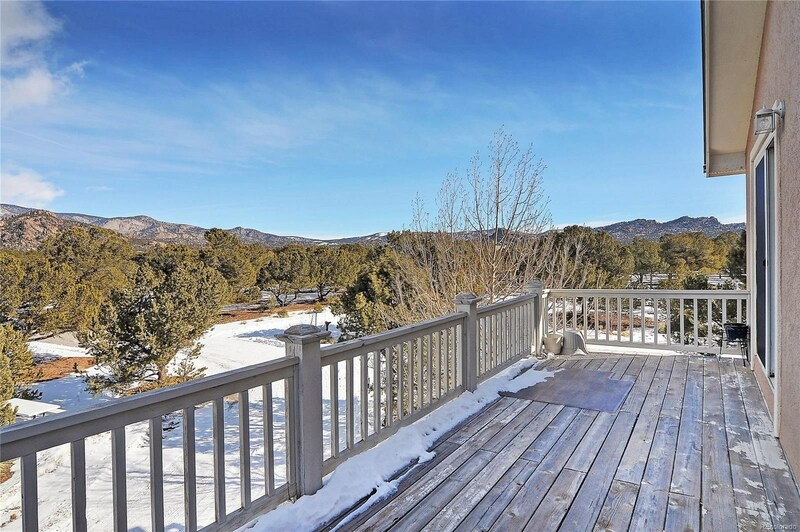 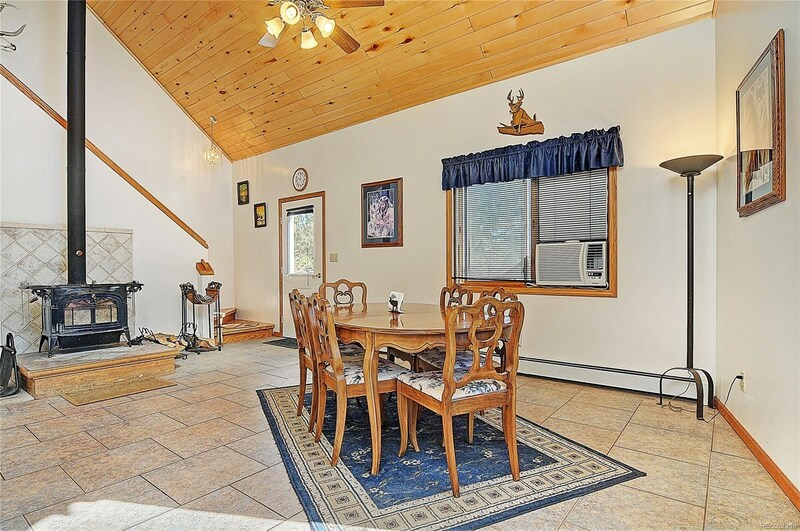 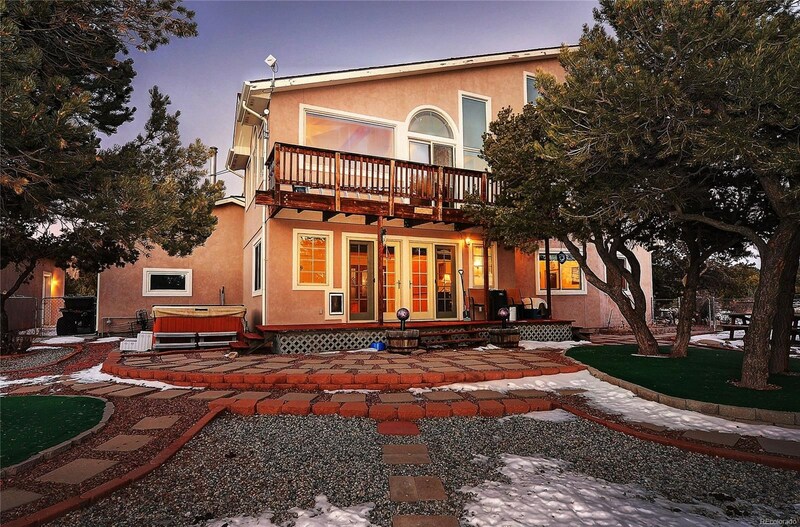 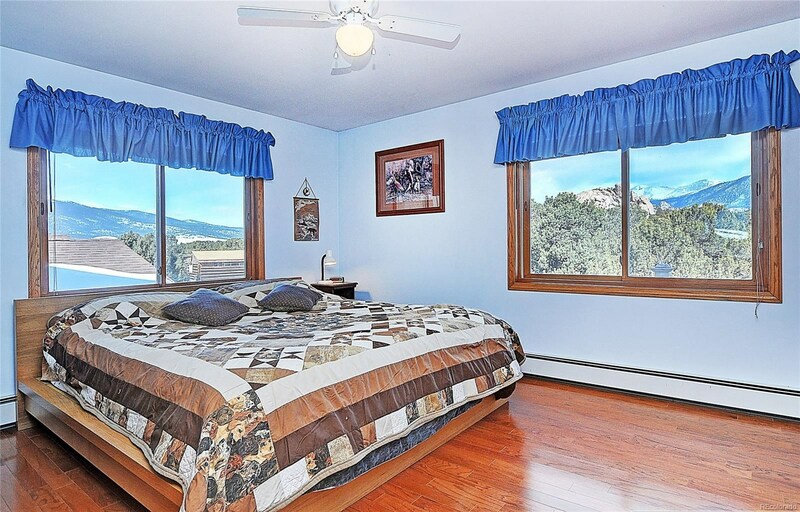 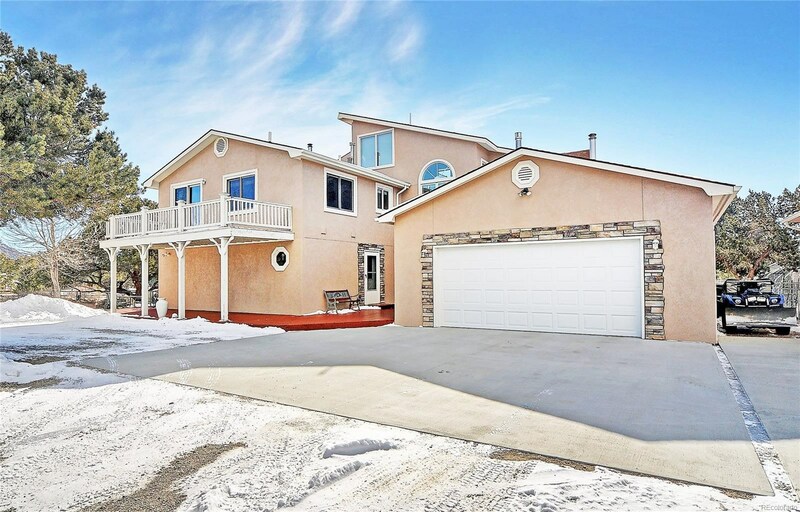 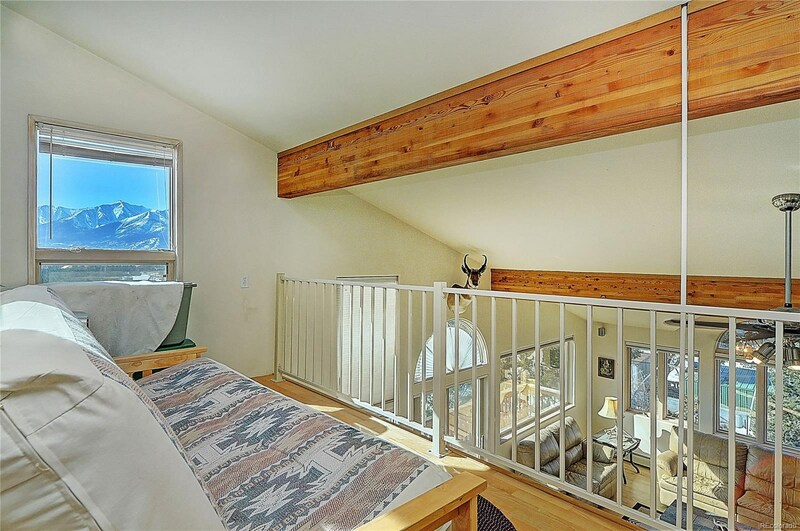 With 3 bedrooms, 2 baths and generous open space for gathering, cooking, dining and visiting, the living space in this home boasts flexibility while enjoying mountain views in every direction! 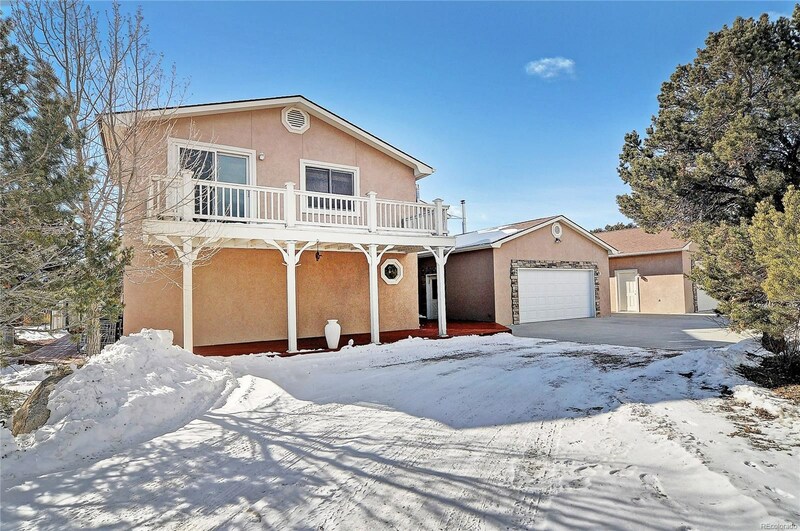 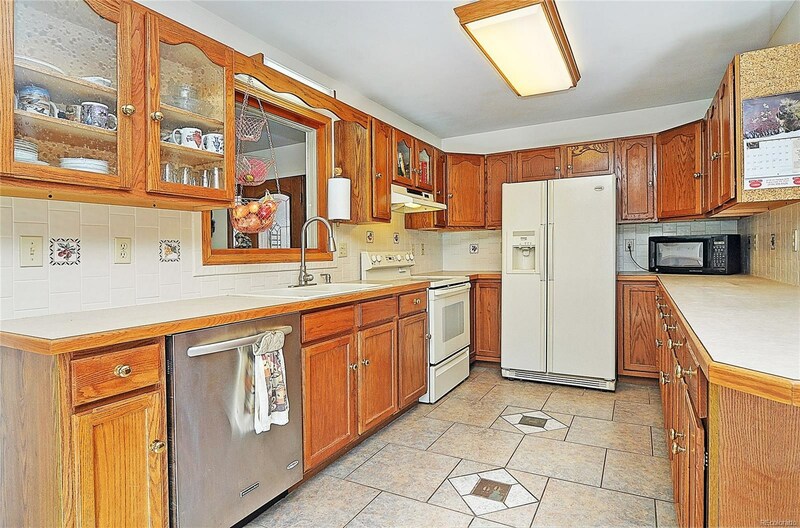 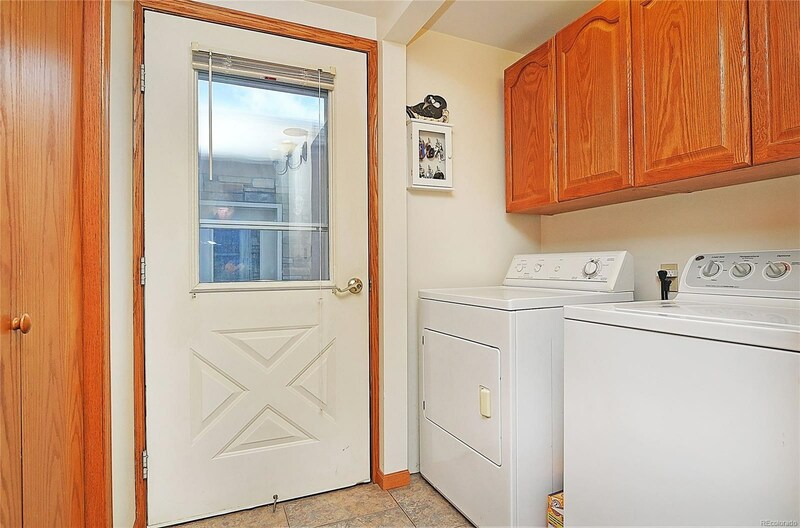 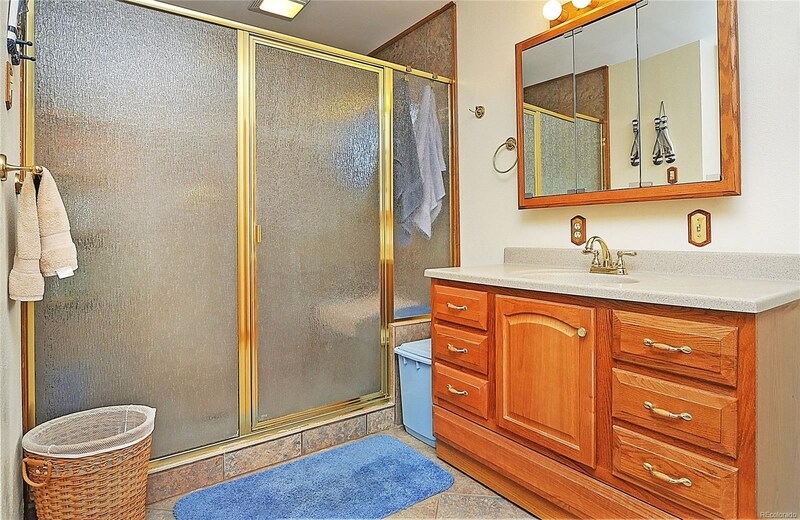 Great storage, easy one floor living with low maintenance exterior, french doors out to covered decks, outdoor dining tucked in the trees, soaking in the hot tub or working in the raised gardening beds. 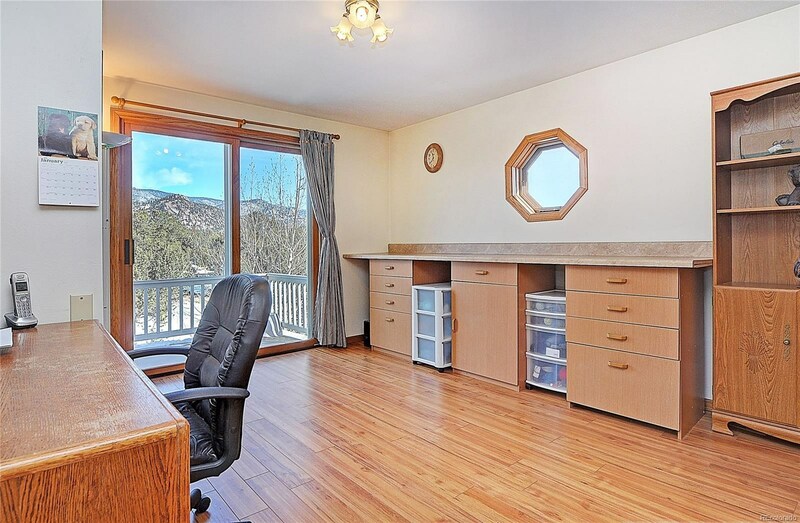 Additional built-in shelves for your library or collectibles and several options ideal for an office/study/crafts. 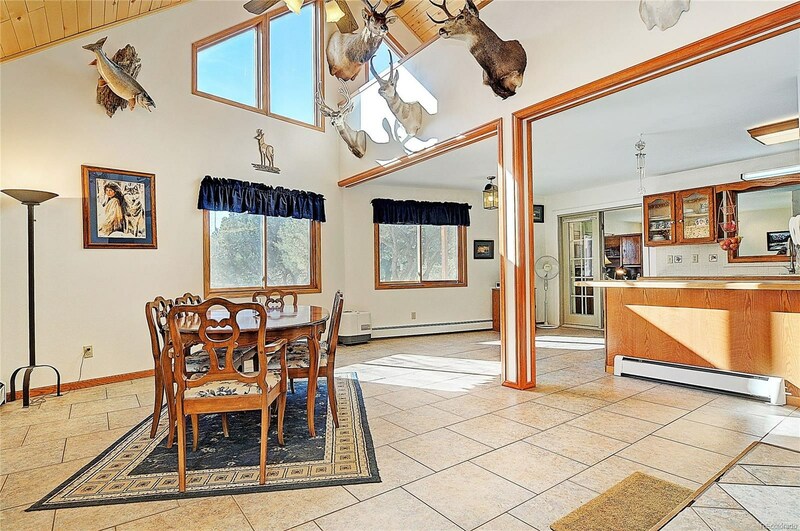 The hard surface flooring throughout allows for easy maintenance of this 2692 SF home so you can be outside enjoying the treed 2 acres. 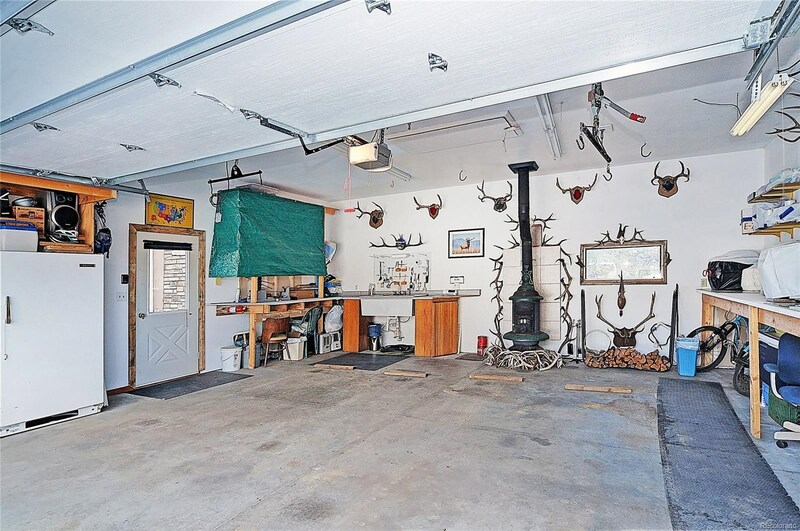 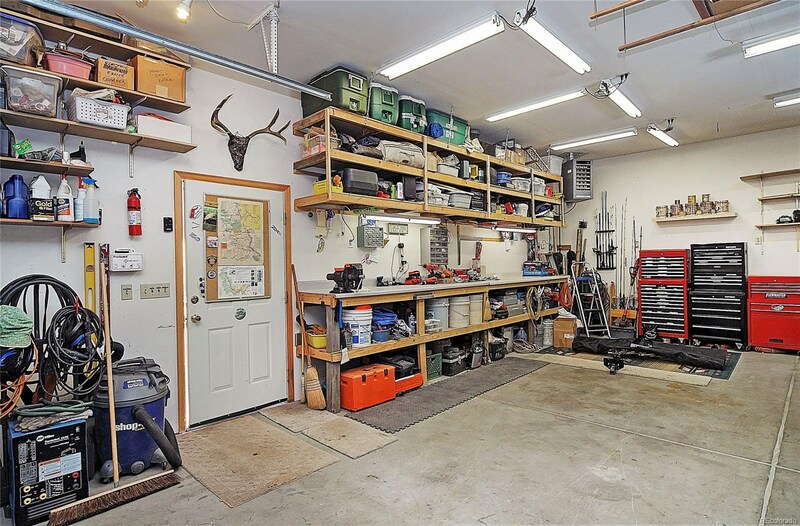 Both garages have built-in shelves, one has a sink, the other 220V electric and is heated plus a carport and parking.